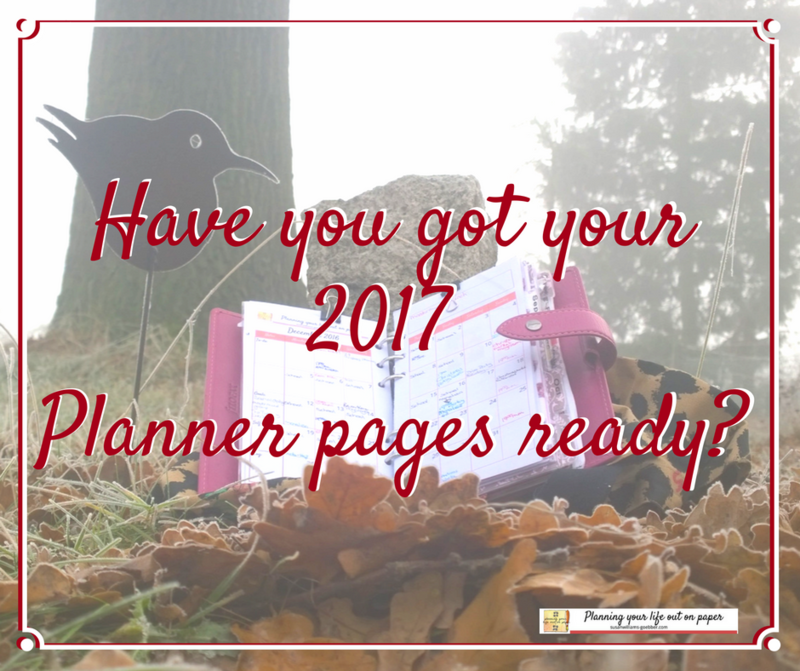 Is your planner all set up for 2017??? The last Diva party we had was great and all about holiday planning and how others spent their holidays. It wasn’t just about the day itself (Christmas day) but what they did running up to the holidays. 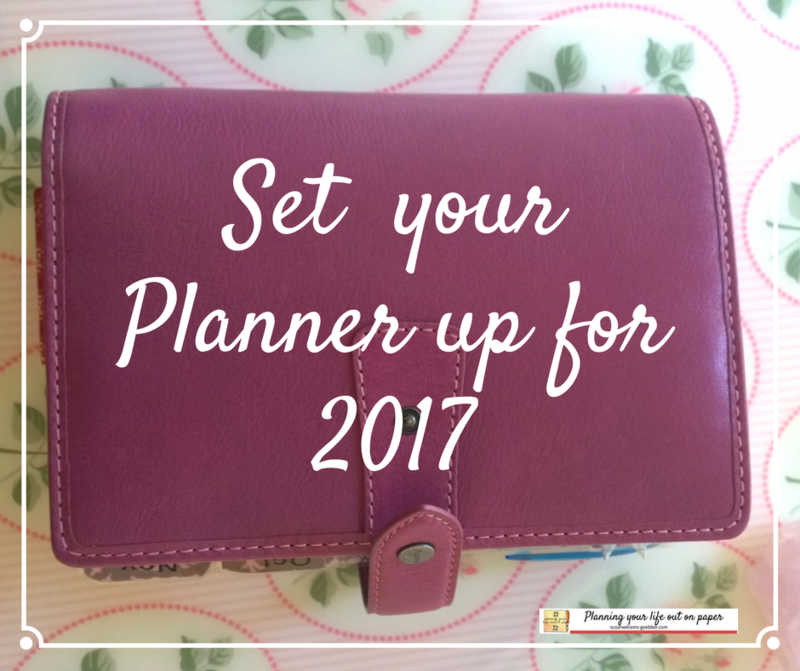 Is your planner all set up for 2017 ???? 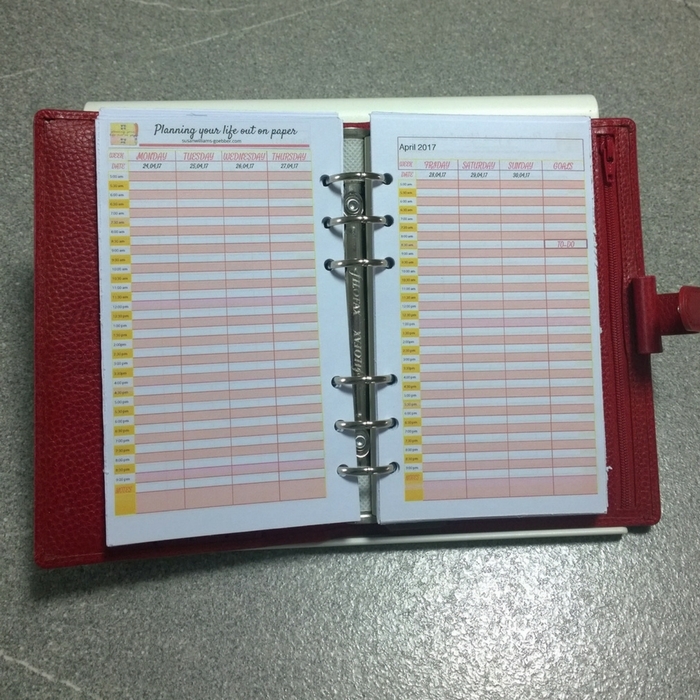 The first thing you need to do is have a planner, well yes, that’s like stating the obvious. There are different options out there, different layouts, different sizes, ones where you hold inserts or ready-made books, or planners you set up yourself call Bullet Journal. You’ll have to find the one that you think you can work with. 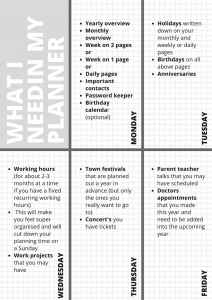 What do you need to set up your planner??? This is good if you want to plan out your summer holidays, or if you want to see the bigger picture of say an upcoming project. 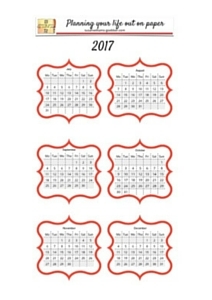 My page also has school holidays marked off and kindergarten activities written on there before I had my 2017 inserts inside my planner. Is a place where I can plan out my month and have a look at a glance if I have anything important going on. I write down the birthdays, yoga, my mastermind groups (there is a new one coming up, but only if you’re on my email list sign up here) class’s I teach and parties I want to go to or shopping dates with friends. It’s my go to place when someone asks me If I have time. Mind you I don’t fill it up with my everyday stuff, there isn’t enough space for that and like I said I keep it as an overview. This is also a place where I can map out how long a project is going to take. Now, these pages I use for my real everyday planning. I go through write down all school holidays then the birthdays, my working hours (lessons I teach and the client call’s I have). But like I’ve said many times before the first thing I ever write in my planner, on my new pages, is my own birthday. That get’s me over this….I’m messing up my planner, problem…. I can go and add in other planner pages if I wish. But really that’s the bulk of what you ought to have in your planner. You will have to use it!!! Not forget it in your office or leave it in your bag for safe-keeping, or lose it in your car. I hope that helped you a little. 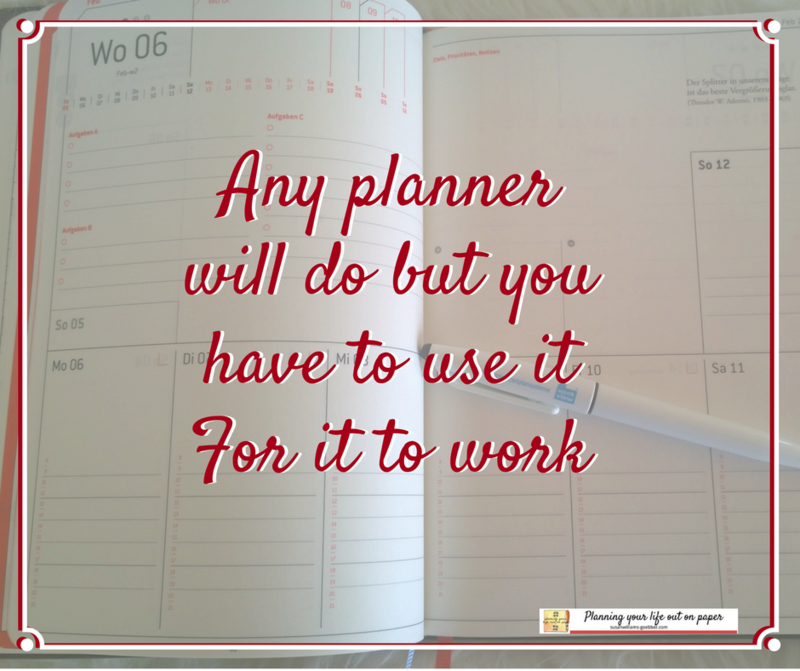 If you do need more help with setting up your planner then just send me an email. I do this too. It’s permission or a signal that it’s OK to write in these perfectly clean pages. I have to confess that my 2017 pages were actually ready in October. The weeklies have a Sunday start. We’ll see how my brain handles that. All the best for the new year! I think having your planner set up in October, just perfect. I couldn’t this year because my own planner pages weren’t finished. 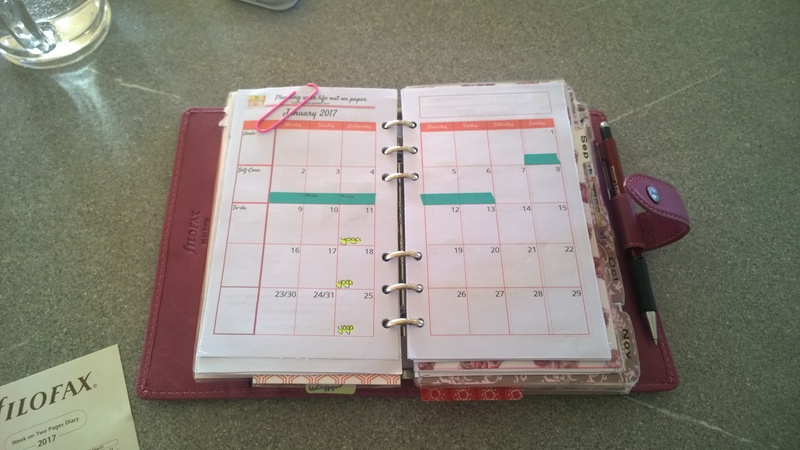 This year is the first time that I am using my own planner pages in my Filofax carry around with me everywhere planner. Please let me know how the Sunday start works for you, I’m not sure I could work with that, but I’ve never tried it, so never say never.